The Sower by Vincent Van Gogh, c. 1888, based on the Parable of the Sower. 169 people in our community are currently praying with you. Triumphant prayer is almost impossible where there is neglect of the study of the Word of God. 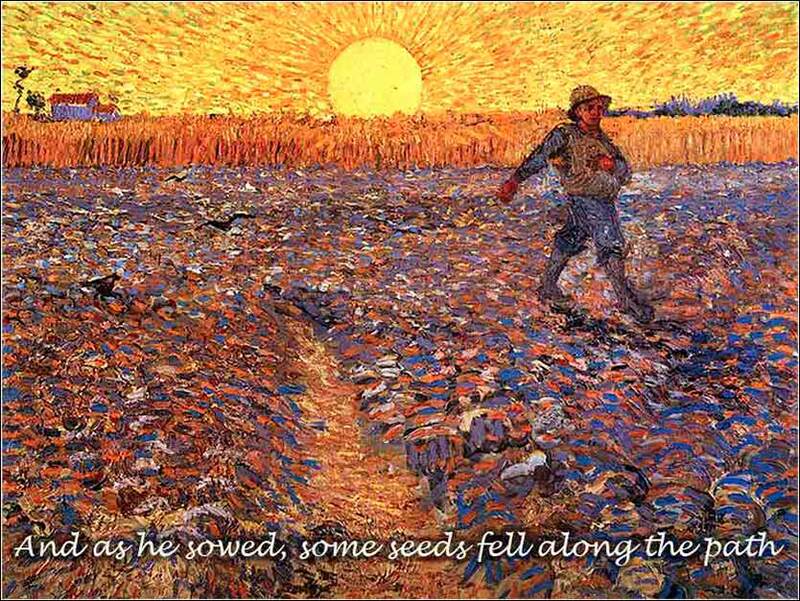 "A sower went out to sow. And as he sowed, some seeds fell along the path, and the birds came and devoured them. Other seeds fell on rocky ground, where they did not have much soil, and immediately they sprang up, since they had no depth of soil, but when the sun rose they were scorched. And since they had no root, they withered away. Other seeds fell among thorns, and the thorns grew up and choked them. Other seeds fell on good soil and produced grain, some a hundredfold, some sixty, some thirty. Hear then the parable of the sower: When anyone hears the word of the kingdom and does not understand it, the evil one comes and snatches away what has been sown in his heart. This is what was sown along the path. 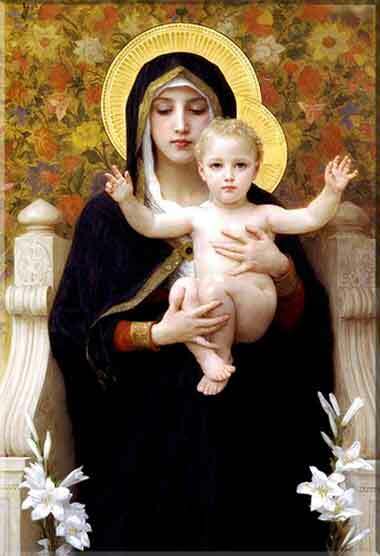 As for what was sown on good soil, this is the one who hears the word and understands it. He indeed bears fruit and yields." Here, Jesus vividly describes four different ways that God's Word affects people, in a section known as the "Parable of the Sower". First, of course, are people who simply reject it. It covers a wide range, from angry, sarcastic atheists to secular humanists, "nice" or "good" people who, out of an obligation to tolerate a diversity of viewpoints, might smile and listen. Such people might even agree with what they believe to be some of the principles of Christ's teaching. But they don't really get the fundamental concept: The Bible is God's Word, not one of many works that may be helpful in learning proper conduct. The second way of hearing is to hear and seem to believe it, but to turn away as soon as any difficulty appears. This person will change his mind, depending on circumstances. The Word has no root in him. The third describes people who are honest believers, but are torn away by the power of earthly temptation. Many of us find ourselves close to abandoning our faith when temptation arises, for the allure of worldly pleasures is powerful and constant. We might sometimes even delude ourselves into believing that our greed or pride is consistent with the Bible, if we skip over or discount the parts we don't like. Of course, we all sin. If we commit adultery, or covet, or do things we know deep down we shouldn't do in order to make money or gain power, it does not mean we are lost. But we must be honest with ourselves; we must recognize our sin and ask forgiveness, because forgiveness in the face of true repentance is freely given in the name of Christ.